Moben Global Inc. set up FOSJOAS as its core brand of intelligent self balancing electric unicycle in the year of 2010. 5 year hence, FOSJOAS rose to prominence as a worldwide famous scooter-maker. From obscurity to fame, Moben Global Inc. has its assets that made for the success of FOSJOAS. Moben Global Inc. pays much attention to the feedbacks from the customers and some end users. FOSJOAS electric scooters are produced for the use of the customers and some end users. They have every right to air their complaints and voices. Both of their positive and negative feedbacks are beyond price to the amelioration of FOSJOAS electric self-balancing scooter. A firm that produces scooters meeting the demand of customers will make something of itself. It is fortunate that Moben Global Inc. made it. The quality of product have a big influence on the safety as well as on the fame of the producer. Moben Global Inc. is no exception. Moben Global Inc. chooses the best materials in production of FOSJOAS electric scooters. It uses the new PC materials as the shell of electric self-balancing scooters. The kind of PC materials stands up to impact and offers a high-level safety. The substandard material poses a potential danger to the rider who is to enjoy the ride of FOSJOAS intelligent self-balancing scooter. 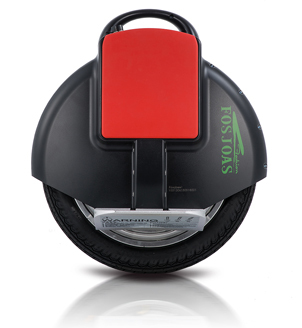 However, the worry about the safety has to abate the pleasure brought by FOSJOAS intelligent electric one wheel. Therefore, to ensure the quality is to maintain the delight of ride. Being a famed scooter-maker, Moben Global Inc. has been keep innovating. From the first model to the latest model, Moben Global Inc. shows its endless creativity. The taste and likes of customers is varying with time. There is no model that can meet the demand of customers all the time. So it is highly imperative for a scooter-maker to produce new models on end. Next：Which is The Pick of FOSJOAS Self-balancing Electric Scooters?